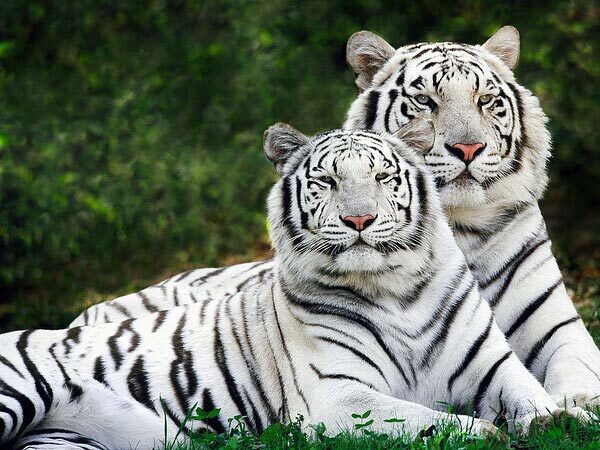 Bandhavgarh, located in the state of Madhya Pradesh is believed to be the home of the white tigers. This was also the hunting ground of the Rewa Maharajas. There is an old fort which stands here till date and overlooks the entire forest. In the year 1986, owing to the wide biodiversity of the place, Bandhavgarh was converted into a national park. It is famous for sheltering the highest number of tiger population in the country. Apart from tigers, it also houses a dense population of leopards and different species of deer along with several other rare species of wildlife. Some of the tourist sightseeing places in Bandhavgarh include Baghel Mueseum, Bandhavgarh Hill, Bandhavgarh Fort, Bandhavgarh Ancient Caves, Bandhavgarh National Park and more. By Air: The nearest airport to Bandhavgarh is located at Jabalpur, which has regular flights to Mumbai, Indore and New Delhi. Jabalpur is 169 km away from Bandhavgarh. By Train: The nearest railway station to Bandhavgarh is at Katni. It is 97 km from Bandhavgarh. Katni Junction has connectivity to New Delhi, Vadodara, Mumbai, Howrah, Bangalore and Chennai and other major places in India. By Road: Bandhavgarh is well connected by road. Private and state government buses are available at regular intervals from the major cities and towns of Madhya Pradesh. Nearby towns and cities also provide Jeeps and SUVs. One of the places to visit in Bandhavgarh is the Baghel Museum, which was the royal mansion of the Maharaja of Rewa. Here, you can see many equipments used for hunting by the Maharaja. Also on display is a stuffed white tiger, which is believed to be the first one spotted by the King. A visit here is like a walk back in time and gives you a royal feeling. Bandhavgarh Hill is the highest hill in the reserve of Bandhavgarh, at an altitude of 807 mt above the sea level. This hill range is formed from sandstone and water that permeates into it, as a result of which there are many springs and streams that originate from this hill. The hill range has a flat top covered in marshes. Bamboos and Sal trees cover this area. It is a very picturesque spot and attracts many nature lovers. The Bandhavgarh Fort is a tourist sightseeing place in Bandhaygarh. It sits on top of Bandhavgarh Hill and gives a beautiful view of the surrounding regions. The fort lies within the Tiger Reserve and is often visited by tigers and their cubs who come here to escape from the sun. It is a haven for wildlife enthusiasts and photographers. Another tourist sightseeing place in Bandhavgarh is the Bandhavgarh National Park, which is spread across the Vindhya Hills in Madhya Pradesh. The park has steep ridges, dense forests and open meadows. It has over 22 species of mammals and 250 species of birds here. A haven for wildlife enthusiasts, they come here hoping to catch a glimpse of the White Tiger, Asiatic Jackal, Striped Hyena, Bengal Fox, Ratel, Sloth Bear, Jungle Cat, Gray Mongoose and Leopard. The best way to enjoy the park is by going on a safari. You get the option of either travelling by jeep or atop an elephant. One of the places to visit in Bandhavgarh is the Climbers Point, which is a picturesque viewpoint in Bandhavgarh National Park. It gives a scenic view of the region and also an aerial view of the entire park as it is located at a height of 13,005 ft above sea level. This place attracts nature lovers and photographers. Another sightseeing place in Bandhavgarh is the Bandhavgarh Ancient Caves, which are built on the sandstone hillocks of Bandhavgarh Hill. There are nearly 39 caves in the region, and it covers the length of about 5 km. You can see several caves here having inscriptions of the Brahmi script and some of these caves also have embossed figures of tiger, pig, elephant and horsemen. Gharipuri Dam located on the outskirts of Bandhavgarh is a popular tourist place. The view from the dam is a breath taking one and is a hot spot for bird lovers as many species of bird can be seen here. Some of the birds you can spot here include Black Ibis, Sarus Crane, Egret, Pied Wagtail, Red-Wattled Lapwing, Lesser Adjutant Stork, Indian Pond Heron and Kingfishers. It is also a popular picnic spot thanks to its natural surroundings. A major sightseeing place in Bandhavgarh is the Shesh Shaiya, which is a 65 ft tall statue of Lord Vishnu. It is the only place in the entire reserve where you will be required to go on foot. The statue is sculptured to show Lord Vishnu in his sleeping posture on the Sheesh Naag. This statue is in a green pool of water, and it is believed that the Charanganga river originates from here. It is considered to be a holy place and during the festival of Diwali it is crowded by devotees. The Ghorademaon Waterfalls is another place to visit in Bandhavgarh. The gushing sound of the waterfall and the calmness of the jungle creates a sense of adventure. The waterfall is surrounded by picturesque views and is a hotspot for photographers and nature lovers.